Dr. Rob van den Berg is a specialist in orthodontics and dentofacial orthopedics. His goal is to achieve full balanced smiles while providing a high level of professional care. By regularly attending continuing education courses, Dr. Van den Berg and his staff stay current with the latest advancements in orthodontics. Dr. Van den Berg is uniquely qualified to deliver high-end results with Invisalign, even for patients turned down by other providers. Dr. Van den Berg has contributed to five of the patents in the Invisalign IP portfolio. Dr. Van den Berg is recognized as an Elite Preferred Invisalign Provider. Dr. Van den Berg is a Certified Invisalign Teen Provider. Dr. Van den Berg is a ten+ year member of the Align Speakers Bureau: 200+ Invisalign Speaking Engagements for Orthodontists and General Dentists in the US, Canada, and Europe. Dr. van den Berg has hosted numerous Invisalign Study Clubs for doctors locally and across the US. 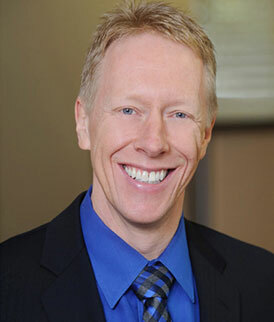 Dr. van den Berg has 12+ years experience using Invisalign for his patients, including teenagers and complex cases. Dr. van den Berg constantly strives for excellence in his professional life. By embracing todays advanced techniques, he aims to deliver a higher level of care that is faster and more comfortable than ever before. Dr. van den Berg sincerely appreciates the trust his patients and their families place in him and his team to provide their orthodontic care. Dr. van den Berg lives in San Ramon with his daughter Simone and their two dogs Blondie and Tyler. His personal interests stem from his long-standing love of the outdoors. He can often be found cycling and hiking the trails of Mt. Diablo, kite boarding San Francisco Bay, or swimming a few miles in Lake Del Valle. He enjoys performing Improv with his friends at San Ramon ImprovU, at the Front Row Theater, and Dougherty Station Community Center in San Ramon.